Bob Nightengale of USA Today reported that the Cardinals plan to pursue right handed pitcher Greg Holland, once he declines his player option for 2018 in his contract with the Colorado Rockies. Holland is expected to decline the option and test free agency, as reported by FanRag Sports’ Jon Heyman. The Cardinals are reportedly in search of a closer, and Holland, one year removed from Tommy John surgery, posted 41 saves in his all-star 2017 with the Rockies, his third all-star selection. 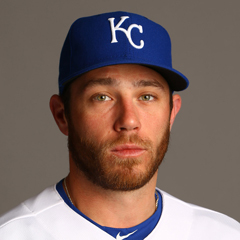 The others were with the Kansas City Royals. Holland, age 32 next season, is represented by agent Scott Boras, so the price tag will likely be high. The Championship Series in both leagues is now underway. The World Series will follow beginning on October 24. At the conclusion of the World Series, the offseason activity will officially begin. Pending free agents officially enter free agency at 9 a.m. EST on the day following the end of the World Series. A quiet period follows, when teams can enter into discussions with their pending free agents about extensions. Other teams are prohibited during this period, which lasts five days, from negotiating with or entering into contracts with, another team’s free agents. During this quiet period, teams may make their free agents a qualifying offer, which is valued at about $17.4 million dollars for a one-year contract. Offered free agents have ten days following the conclusion of the quiet period to accept or reject the qualifying offer. The Cardinals free agents are Lance Lynn, Juan Nicasio, Zach Duke, and Seung-Hwan Oh. The Cardinals are reported to be considering the qualifying offer only to Lynn. Nicasio has expressed a desire to return. Also coming up in November are the GM Meetings, scheduled for November 13-16 in Orlando, Florida. In last week’s Notebook, I discussed the League Division Series in MLB, and the Cardinals’ history in it. This week’s subject is the League Championship Series. The current ALCS and NLCS are underway, with the Dodgers and the Cubs playing in the NLCS, and the Astros opposing the Yankees in the ALCS. The League Championship Series officially began in 1969. In that year, both leagues expanded from 10 teams each to 12. Added were the Montreal Expos and San Diego Padres in the National League, and the Kansas City Royals and Seattle Pilots in the American League. The Seattle Pilots were the precursor to the current Milwaukee Brewers, who are now in the National League. With the expansion to 12 teams, the Leagues were divided in two divisions, the Eastern and the Western. The LCS was originally a best of five series, in the 2-3 format. In 1985, it was expanded to the current best of seven, in the 2-3-2 format. When the League Division Series was added in 1995, the LCS matched the winners of the LDS in each league. As of 2017, all 30 MLB teams have played in the LCS at least once. It took 13 years for the Cardinals to reach their first LCS, but since then, they have appeared in 13 different LCS, winning seven – in 1982, 1985, 1987, 2004, 2006, 2011, and 2013. Three World Series titles came from those seven wins. The Cardinals were eliminated in the 1996, 2000, 2002, 2005, 2012, and 2014 LCS. The team the Cardinals played most often in the NLCS is the San Francisco Giants, the opponent four times. The Cardinals won only once, in seven games in 1987.